Indian Crafts and Skills provides and excellent study of Indian work, both practical and artistic. The book not only describes the skills Indians developed, but also gives specific instructions for creating many kinds of Indian handiwork. Step-by-step, concise, easy-to-read instructions will tell you all you need to know about recreating the Indian way of life. Not only will you explore the practical aspects of Indian livelihood, but you will also discover the beauty and joy of the Indian culture. This book is supplemented with a complete list of reference books and supply sources to help in recreating the magic and mystery of Indian handiwork. 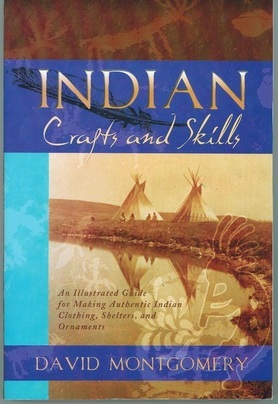 Indian Crafts and Skills is an exciting book of people who wish to share in the heritage of skill and artistry of the ancient inhabitants of America. Paperback, c2007. 216 p. : ill. ; 15 cm.